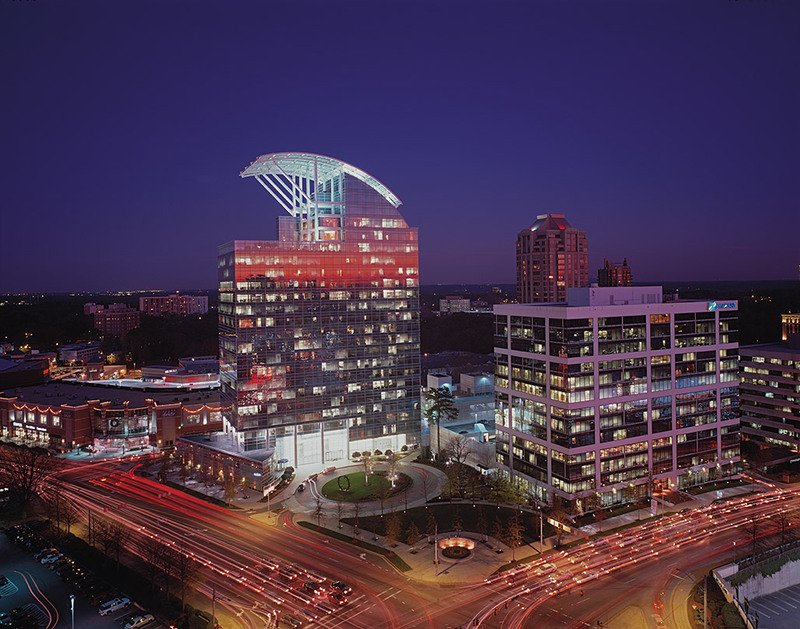 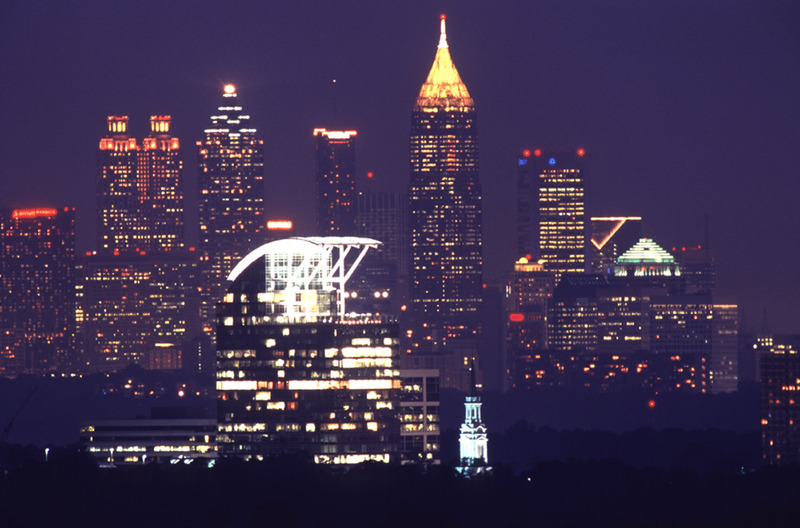 The Pinnacle occupies a prominent site in the heart of Atlanta’s prestigious Buckhead neighborhood. 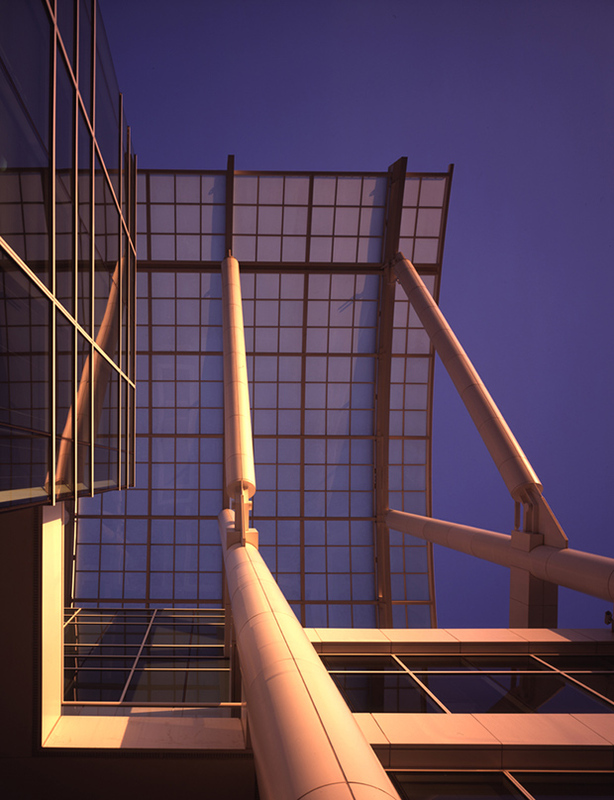 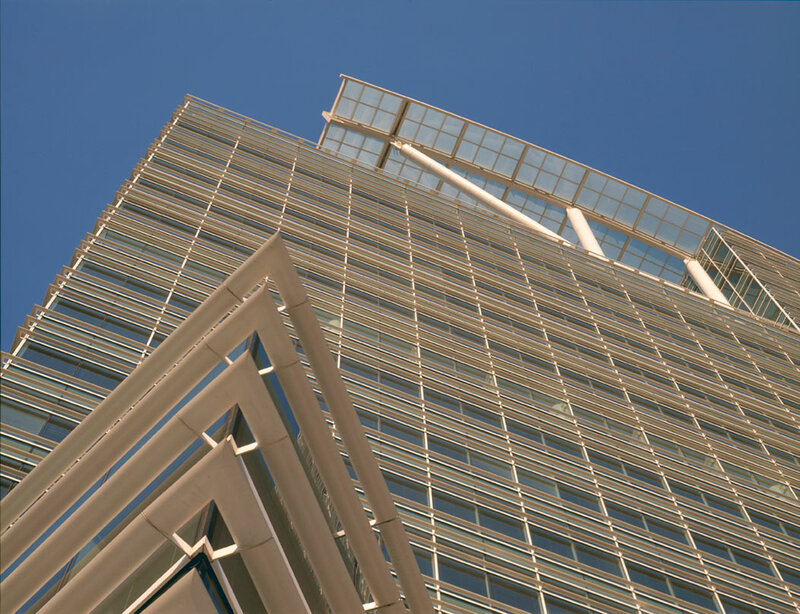 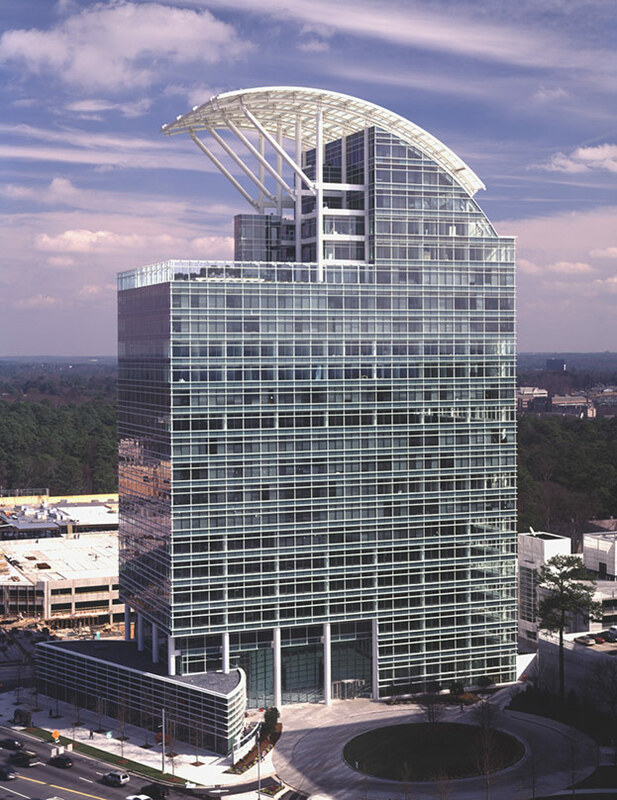 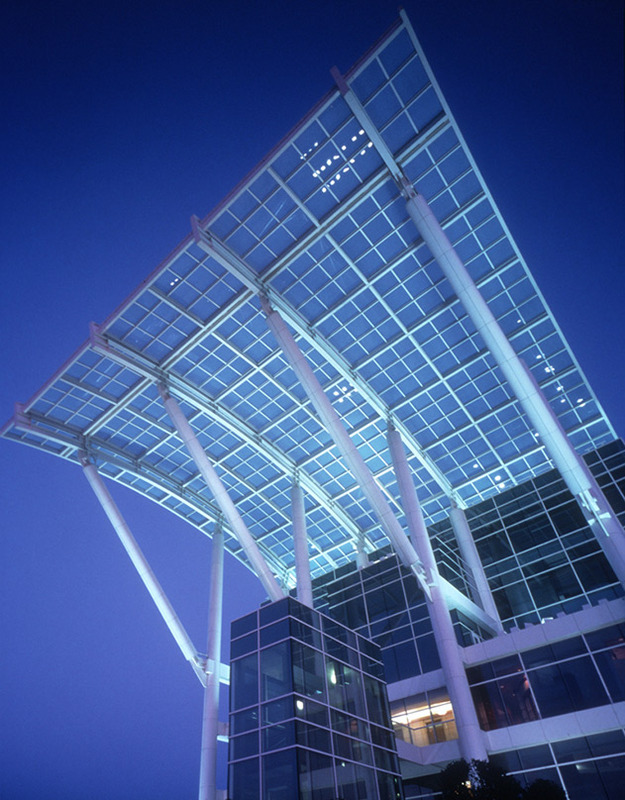 This landmark building, with its distinctive curved sail top, serves as the regional headquarters for Merrill Lynch, Paine Webber, Morgan Stanley, and A.T. Kearney. 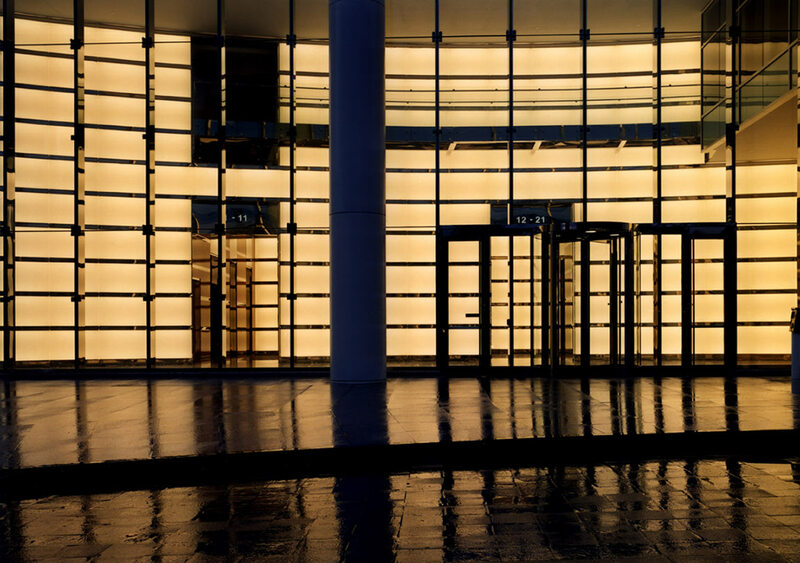 While enhancing the tenants’ corporate identities and offering ground-level shops, the project also responds to the garden character of the neighborhood by preserving much of the existing landscape and adding new plantings, gardens, and water features. 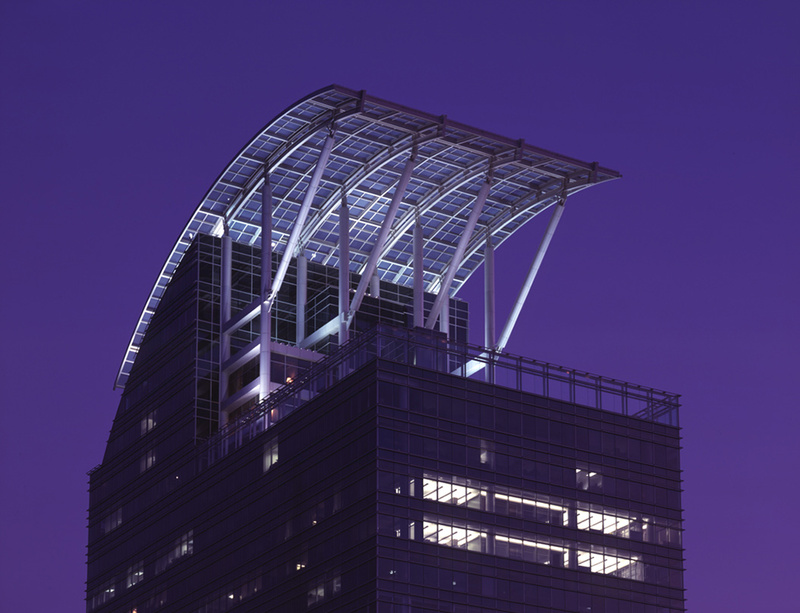 The sky garden of red maples and semi-tropical plants atop the building is directly accessible from the penthouse floors and offers unobstructed views of downtown Atlanta. 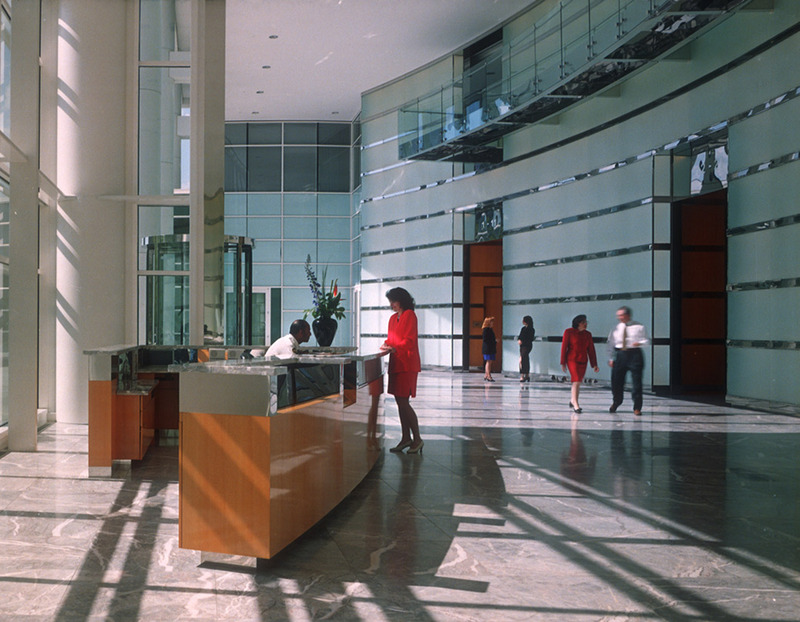 Horizontal fins shelter the office interiors from the summer sun while at the same time producing a fine scale of detail on the exterior curtain wall.